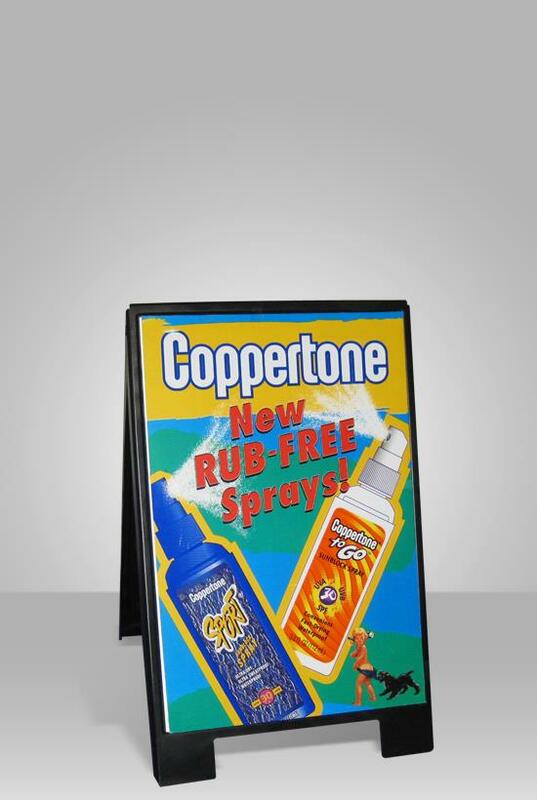 The Pronto Booth has a large and highly visible display header that gives you prominent method to attract attention and deliver your message effectively. 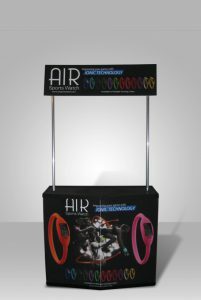 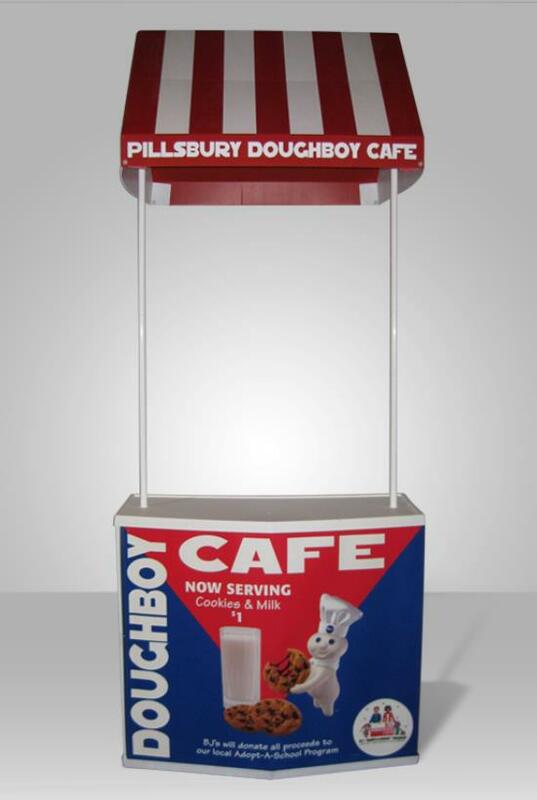 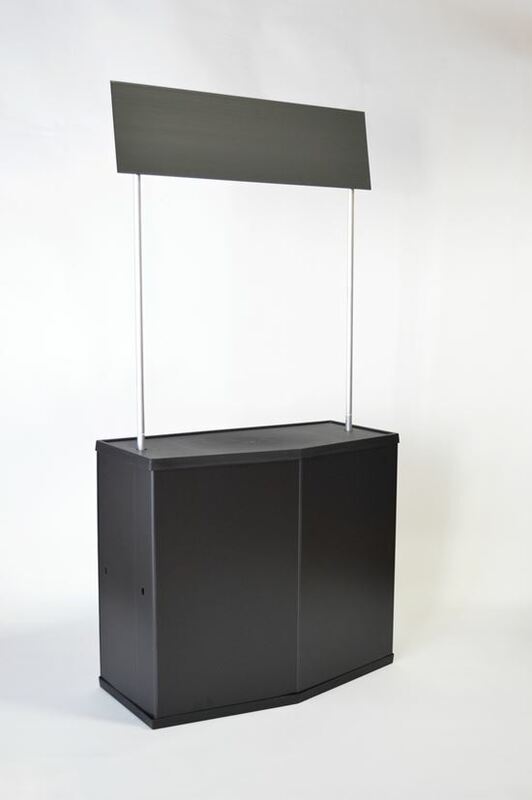 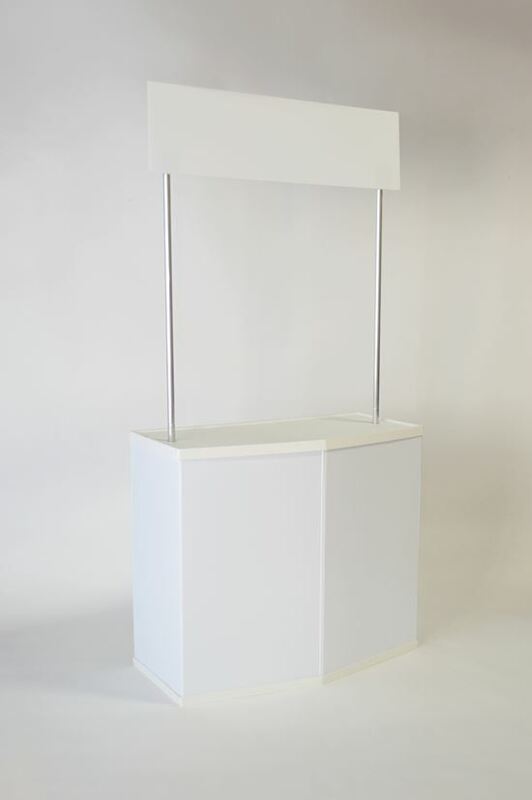 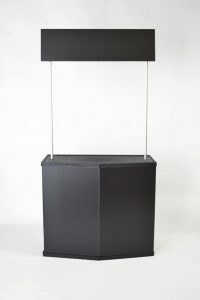 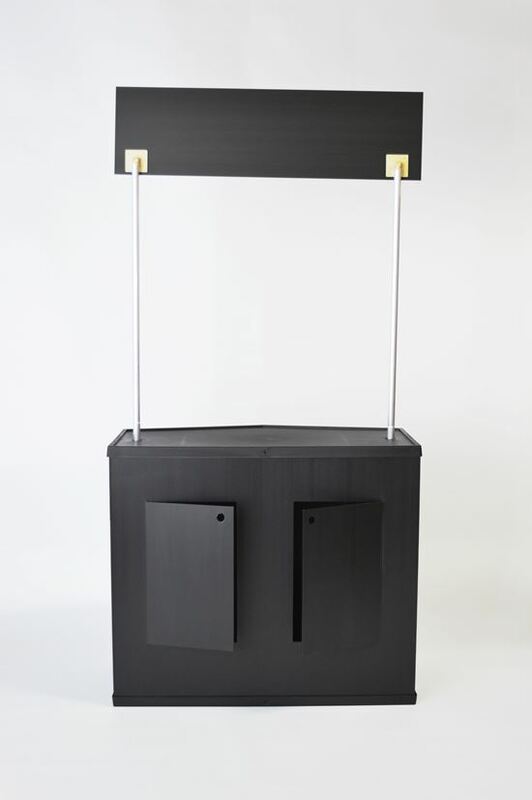 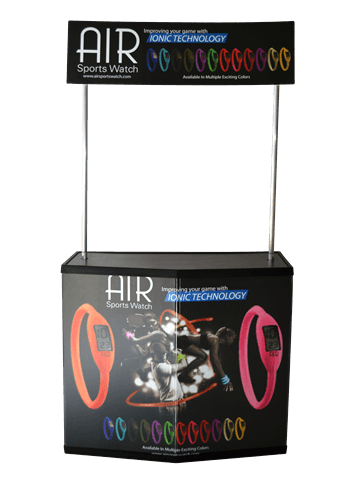 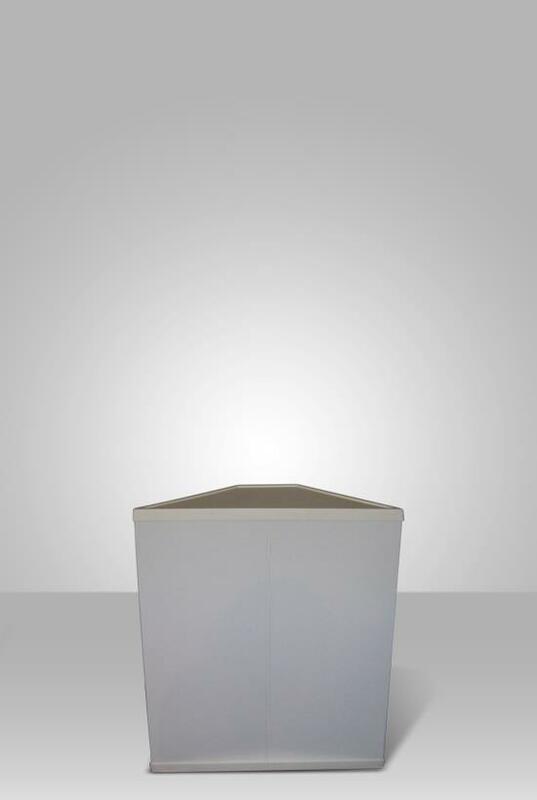 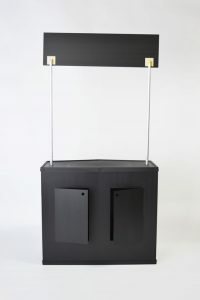 This model is the most popular version out of our patented portable point-of-sale systems. 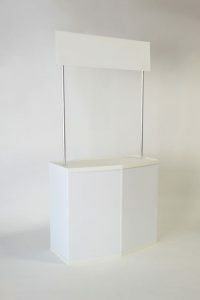 The booth is easy to set up, weighing only 26 lb. 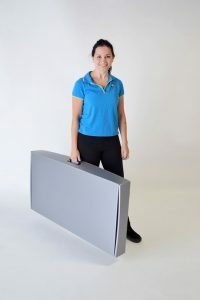 and fits in a carry case (included).